Lately, the days of rain have outnumbered the days of sun. The gray skies might be depressing, but a glance outside remembers that the dreary weather is worthwhile because everything’s gone green. It’s time to trade in coats for light sweaters, time to leave the windows open while the air is still cool. It’s time for asparagus, fiddleheads, rhubarb, and strawberries—the latter two baked in a pie. And yet, all I want is lentil soup. There’s a part of me that isn’t yet ready to give up those one-pot dishes, despite the fact that fresh, green things are starting to appear. Maybe it’s all the rain. Or maybe it’s simply that there is a comfort in making a batch of soup or baked pasta dish one night and knowing that, thanks to leftovers, dinner will be covered the next. 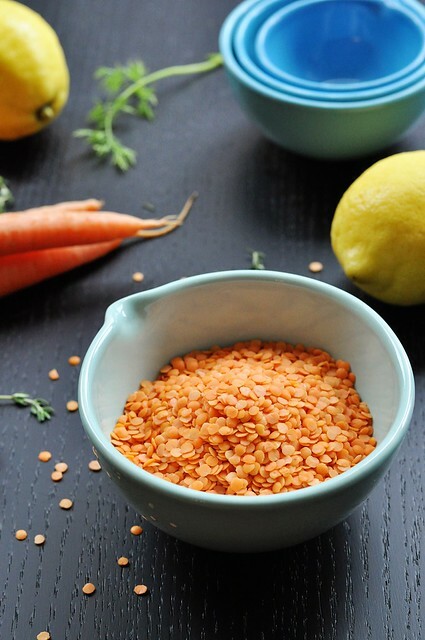 No matter how good my reason, it was clear when I set out to make a pot of lentil soup in May that a departure was needed from my usual mix of brown lentils and Arborio rice. So I reached for a bag of red lentils instead. 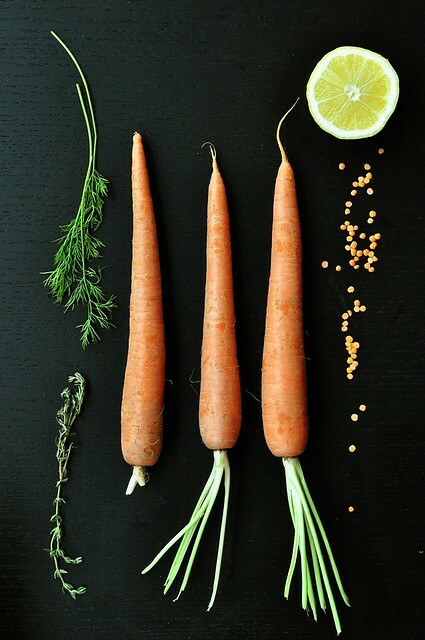 They have a gentler flavor and a softer texture than their earthy brown and green cousins. A recipe by Melissa Clark gave me a place to start, and, with a few adjustments, I brought the dish from autumn into spring. I kept the lemon, omitted the cumin, and swapped the cilantro for a fistful of dill. 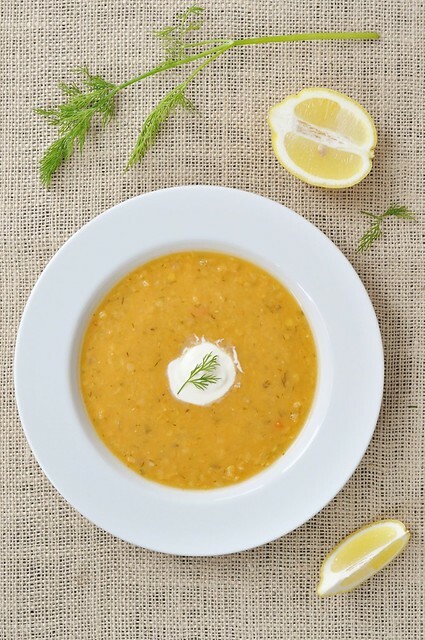 And there it was: a lentil soup that could almost be called light, with a bright splash of lemon and the unmistakable green zip of fresh dill. 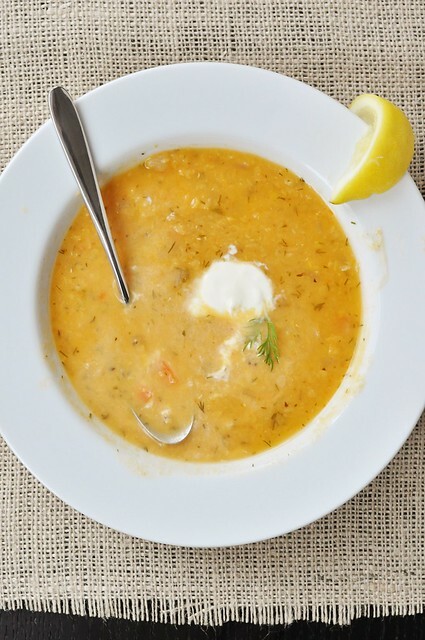 This sort of soup is right at home during the rainy/sunny mix of spring or eaten, just on the warm side of room temperature, in the heat of summer next to a crisp, condensation-streaked glass of Sauvignon blanc. The only thing that could make it more agreeable? A dollop of homemade crème fraiche, swirled in gently with every bite. This soup does well with either chicken or vegetable stock, though I have found that it tastes a bit more complete when made with at least half vegetable stock (good news, vegetarians!). Also, if crème fraiche isn’t your thing, you could use sour cream, a tangy Greek yogurt, or eat your soup straight out of the pot. Heat the olive oil in a large soup pot over medium-high heat. Add the onions and cook until soft and translucent, about five minutes. Season with a pinch of Kosher salt and add the garlic. Saute until fragrant, about a minute. Stir in the tomato paste and fresh thyme, cooking until the tomato paste breaks down and stains the onions. Add the carrots, stock, water, and lentils. Bring the soup to a simmer. Reduce the heat to maintain a gentle simmer and place the lid on the pot to cover it partially. Cook for 30 minutes, until the lentils are soft. Transfer about half of the soup to a food processor or blender and puree until smooth. Pour the blended portion back into the pot with the remaining soup. (Alternatively, use an immersion blender to puree roughly half of the soup.) Keep over low heat until ready to serve. Immediately before serving, stir in the lemon juice and dill. Top individual portions with a spoonful of crème fraiche, if desired. I’m not sure if you can access my notes on Facebook, but I posted a similar recipe about a month ago here: http://www.facebook.com/note.php?note_id=10150163252351590 I am surprised you decided against the cumin — that seems like the “right” flavor for red lentil soup. 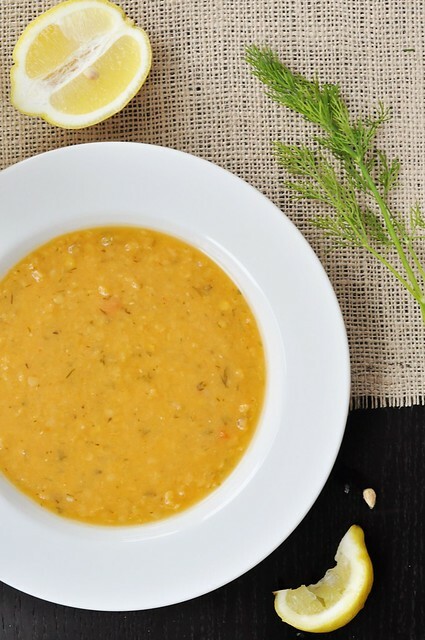 Yes, cumin is a very traditional spice for lentil soups, but my aim was to create a bright, fresh-flavored soup and the cumin just wouldn’t have worked in favor of that. Sometimes, if you look at things in different ways, you can find all sorts of new and surprising “rights”. I just discovered your blog and loving your recipes. I absolutely adore the original recipe and think your variation looks divine for the summer.